The Winter Sale is now on! 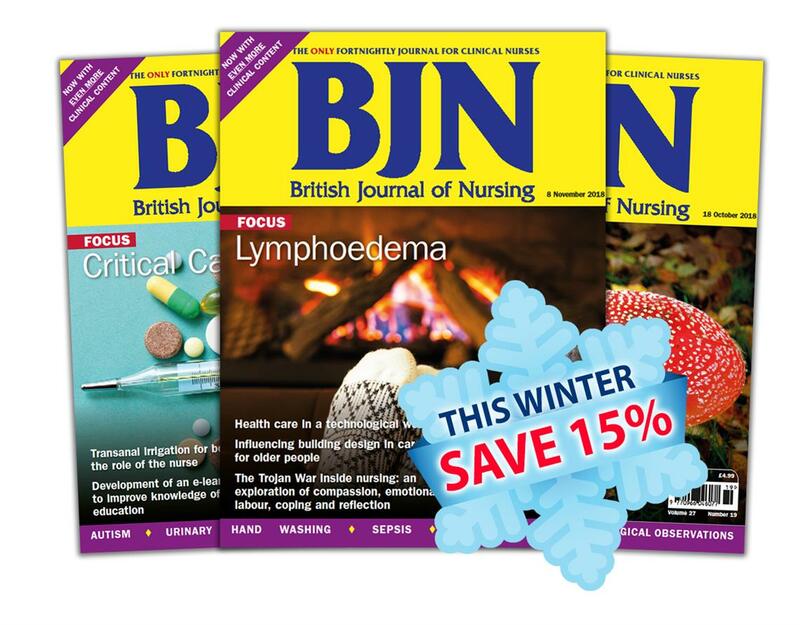 You can save up to £42 on your subscription - order now with code WINTER19. 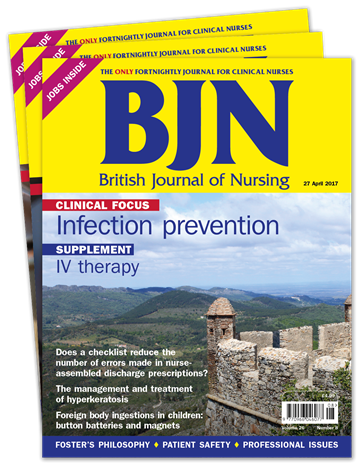 British Journal of Nursing (BJN) is a leading peer-reviewed fortnightly journal of high quality clinical research for nurses, by nurses. 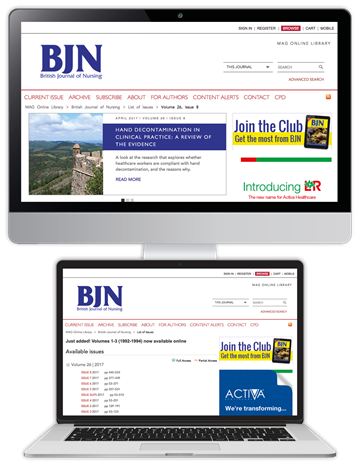 At BJN, our goal is to provide the nursing community with a prestigious academic platform for cutting edge research and to present it in a clear, accessible style that is enjoyable to read and easily applicable to daily practice. 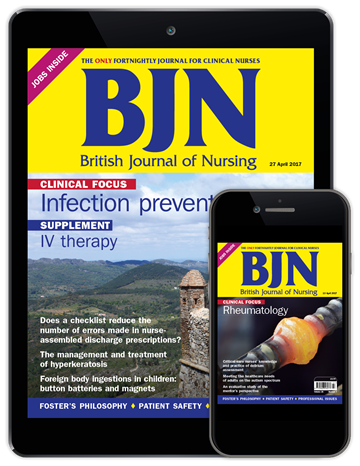 It publishes evidence-based clinical reviews, original research and professional articles, all of which share practical recommendations based on sound theoretical knowledge, and address the pressing matters affecting nursing. 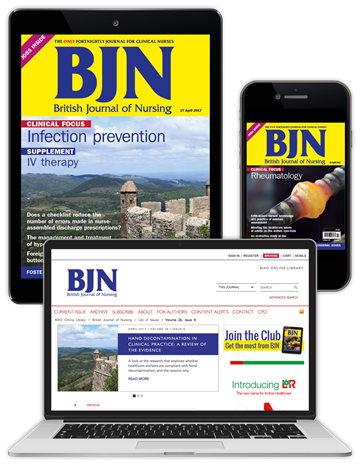 Subscribers will also receive unlimited access to CPD Launchpad - the online platform helping nurses meet their revalidation requirements. 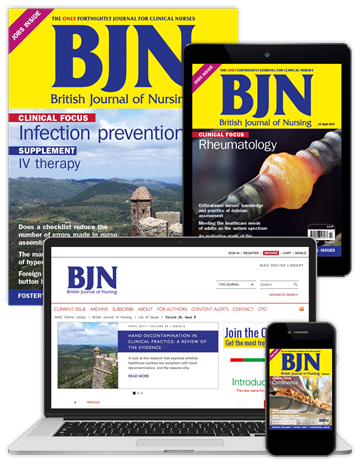 Order now with code WINTER19 to save 15% on your subscription. Offer ends 8th February.